Offering the level of service business travelers need. Just off the lobby on the main floor, our Denver location offers full shipping and business center services. 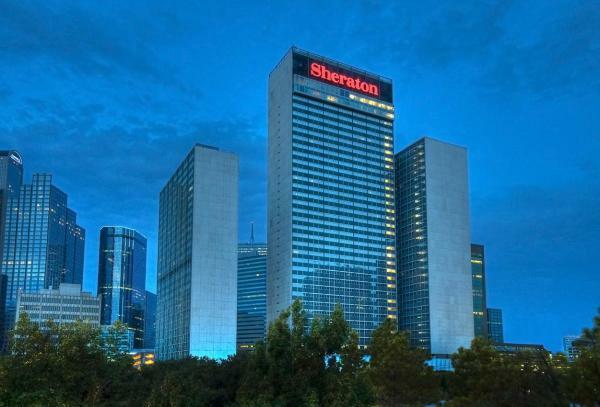 We are located at the heart of Sheraton Dallas meeting and convention space and are prepared to meet guests' needs. "I have been to many conferences over the years and this shipping center was one of the best most helpful, with knowledgeable staff. A great team and a great service to the hotel." "Staff was exceptionally friendly and responsive. We were part of the PRISM conference, and all staff were high-touch, and very helpful. The business center in particilar is VERY well run. The fellow who runs it is exceptional." Some kudos from our customers.